I remember all the horrible things my ears were stuffed with on Paul Usoro, SAN, notably from senior members of the Bar far and near; That was before PUSAN (as fondly called), eventually emerged as the winner of the last election as National President of the Nigerian Bar Association. At all time before the election, having heard all I heard, I concluded within me; this Usuro must be an outrageously bad person, the Bar shouldn’t have him, not now! Consequently, I never liked Paul Usoro, SAN. I had no real ‘personal’ relationship with him until now. I remember the first day he was introduced to me in my capacity as the Chairman of the Nigerian Bar Association Young Lawyers’ Forum of the Premier Bar by some groups of senior colleagues, brothers and friends; they told me all the good things of this life about him and earnestly yearned for my support on all fronts. I laughed within me knowing I was not going to do their bidding, I never hesitated to make my stand known considering all I have being fed with on Usoro from the moment he declared to be the President of our dear and noble Association. For same purpose, Paul Usoro SAN met me one on one, he discussed with me all his lofty ideas and intentions for the bar, he particularly made reference to his plans for young lawyers and requested of me for support and the supports of my followers. Since I’ve never known pretence all my life, despite the fact that Paul Usoro SAN, came all the way down for me, he saw it right there on my face that I was not ever going to be moved by any of his wordings. In all amazement, despite my body language which can be suitably be qualified as negative, He never let go, he kept on reaching out to me in person and via his foot soldiers. Aside what I later found out to be concocted rumours of the idiosyncratic patterns of Paul Usoro, SAN, part of which largely influenced my stand, I had a very good relationship with Professor Ernest Ojukwu; being my teacher and loving mentor since when I was the Assistant Public Relations Officer, back then at Agbani, the Enugu Campus of the Nigerian Law School as the Deputy Director of Enugu campus of the Nigerian Law School. Aside our personal relationship, I directly confirmed and at all time can attest to Prof. Ojukwu special talents of administrative skills, eloquence, managerial astuteness, firmness and suiting mental cerebral capacity and exceptional qualities in handling anything placed at his feet and/or in his hand. 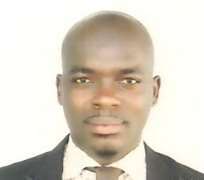 You would’nt anymore need to imagine while I would not be open to hear the condemnation of other candidates aside Ojukwu. Ain’t I vulnerable? Indeed, we are all political animals! I make bold to state that even the men without any stand, knowledge or principle would at best be influenced by one thing or the other to favour a course above another. I am not an exception. I must at this juncture mention that Chief Arthur Obi Okafor SAN (AOOSAN as fondly called) is a complete gentle man. AOOSAN is of noble character; of firm mind, utmost meekness, generous among other exceptional qualities. I’d had the privilege to attend some the programs organized by this great learned silk, simply put, they were state of the art. I remember several of my encounters with him, from all moments; in short, he is everyone’s fantasy as president of our noble Association. I had also been privileged to have some encounter with Chief Emeka Obegolu, the right hand man of AOOSAN, who doubles as the past National General Secretary of the Nigerian Bar Association and the current president of Institute of Chartered Mediators and Conciliators, I make bold to say at all time and place, that they are perfect match for the strategic growth of our noble association. Through this duo, a lot of lawyers, particularly young lawyers had benefitted from numerous academic and professional sponsorships. I must state immediately, AOOSAN is gallant, popular and full of Good will. Mazi Afam Osigwe, though later disqualified, had been a very good brother and friend; although at all time wears a seeming stern look, he is highly principled and passionate. Mazi Afam is as staunch supporter of the youngs and craving strength of the Youths. He was widely loved for his generousity, influence, astuteness and promptness. His administrative prowess as the General Secretary of the Nigerian Bar Association greeted us as member of the Nigerian Bar Association with a lot of benefits; been highly cerebral, dogged, diligent, young and full of life. His innovations and contributions to the National Secretariat of the NBA ably led by the revered Austin Alegeh, SAN was in no small measure a pointer and jumbo pack to the success of Abubarkar Mahmoud, SAN’s administration. Obviously, Afam Osigwe is highly competent to lead the bar, his disqualification, though under contest, was a pain of all time, being a person highly loved by his teaming supporters. At best, when you have all these choices of men, by person and life, it takes a deep personality not just to make a choice, but to have a stand and let it known. Especially when all came at a time many pretends to be everywhere in their own church mind of playing politics. All that said, I must profess that despite hitches, glitches and glamours associated with the NBA National election, I just found out that the election had yet produced as its president another refined gentleman with a colossal achievements in the legal practice industry. What do I mean, before now, I’d always believed the gargantuan rumours in circulation about ‘PUSAN’ (as popularly called) were real. I acted in line with same, a such, I had the feelings that PUSAN must by conduct and by all means be a pure Aristocrat equivalent to the Lords and feudals of the Stone Age. Notwithstanding Paul Usoro, SAN tracking records, many of us who devoid ourselves of the earlier opportunity to know him in person believes he would never relate and/or associate with persons like us except the above-Lords ones he emerges as the president of the NBA; therefore we may never be heard or listened to. Without mincing words, I found out something else the moment PUSAN emerged. In my church mind manner, I congratulated all my candidates that emerged as winner of their respective offices contested for, I also congratulated PUSAN through all available means of reaching him. I reflected on the whole election exercise, PUSAN was bashed the most, He was punched from all corners and stripped naked from afar. Yet, nothing moves me more as I look at him and through him; than by all standards, just like a lion, his face and conducts were peaceful, calm and quiet the more such bashes came. All along, his press releases are spot on. He rose through all and emerged like a settled storm in the tea cup. Yet, after his emergence, he was magnanimous in victory. How do I mean? After the election, I had met Paul Usoro, SAN at about seven different times and places. He knew I never supported him, he treated me with most courtesy and warmness. After his victory, at one of those times, He once whispered to my ears, “Richarmond please stay closer”. At another time, despite been surrounded, like bees would surround the honey, he spotted me out from a crowd at his party and he requested “let’s see at your available time, we must work together”. Every encounter with Paul, He smiles at me like a woman would smile at his love of her life, his face highly expressionless. Indeed, every encounter with paul, a new hope. I then from every moment echoed and re-echo within me; ‘what a man with such a very big heart!’. Of all these, I remembered, being called Ojukwu man by some of PUSAN supporters, at the inauguration ceremony and the welcome party organized by PUSAN at the Sheu Musa Y’aradua Hall in Abuja to kick-start his administration. What amazes me most, when Paul Usoro had moved on with his opponents and seen himself as friends of all, some of his supporters treats others none supporters as renegades who deserves no mercy. They hated and/or bullied others for making a choice requested of every adult. I use this medium to most humbly appeal to my Teacher, the Leaned Prof. Ojukwu and My wonderful benefactor, AOOSAN and every aggrieved persons in the course of the election to look inward and declare peace. While I also use this medium to call for an electoral reform within the Nigerian Bar Association to avoid another controversial process in future, in the spirit of oneness, I hereby state categorically, that since their candidate has become our president, May we pray for our President to succeed. I had carefully listened to the Inaugural speech of Paul Usoro, SAN as the president of the Nigerian Bar Association,, It is loaded. It pacifies on all fronts, it touches on all issues and offers all hope on the purification of the Bar. I make bold to say that at this time, PUSAN is an institution all of us must enlist in, study in and protect for a desired result. You should not be surprised seeing me dancing at PUSAN inauguration and party, I know when to fight fate, but certainly not now. God bless Paul Usoro, SAN and his entire team of executive as they pilot the affairs of our great Bar. Disclaimer: "The views/contents expressed in this article are the sole responsibility of RICHARMOND O. NATHA-ALADE and do not necessarily reflect those of The Nigerian Voice. The Nigerian Voice will not be responsible or liable for any inaccurate or incorrect statements contained in this article."